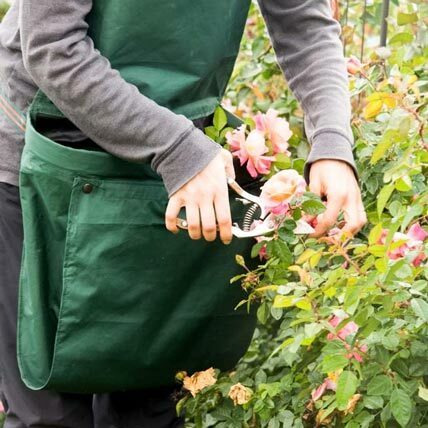 Whether you're bringing in the season's fruits and vegetables, pruning shrubbery and small trees, or weeding the garden, this inventive apron will make the activity easier. Simply pick and drop into a clever bucket attached to the front of the apron. You'll wonder how you ever got along without it. 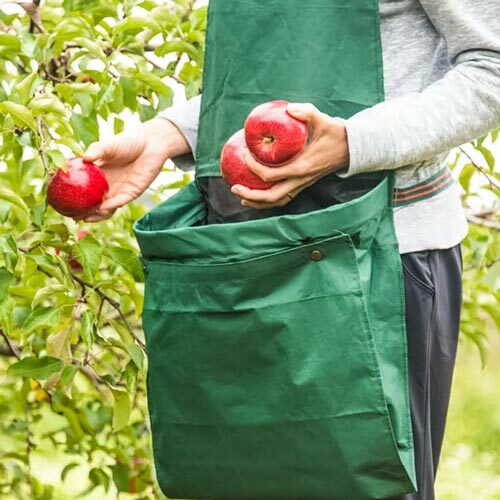 Features include a comfortable halter strap with adjustable buckle, large-capacity lined bucket front and a Velcro® snap bottom for easy removal of produce or materials. Bag can be shortened to reduce capacity for smaller jobs. Made of lightweight polyester with waterproof PVC backing. Long-lasting polypropylene straps with sturdy plastic buckles for years of use. Apron is 41"L x 16"W with a 4"D bucket front.